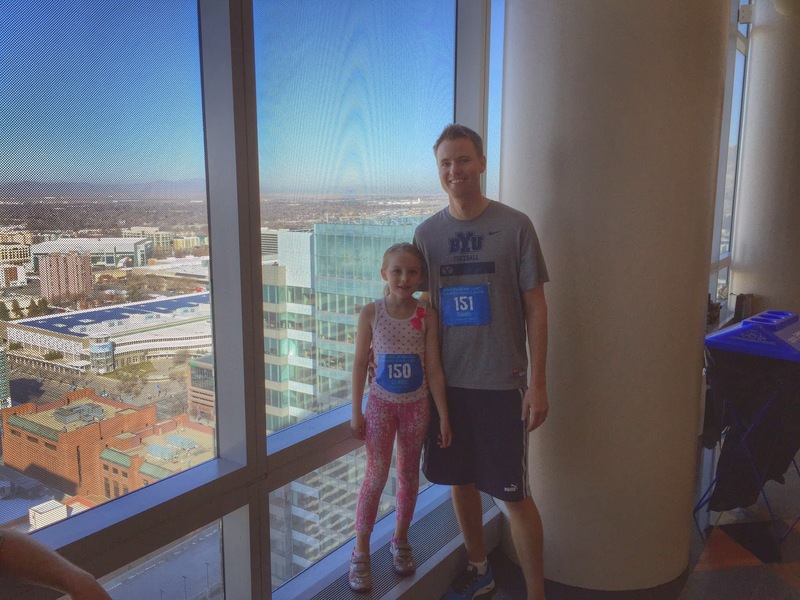 On March 7th 2015 I ran the stairs of the tallest building in Utah, the Wells Fargo Center in Salt Lake City. 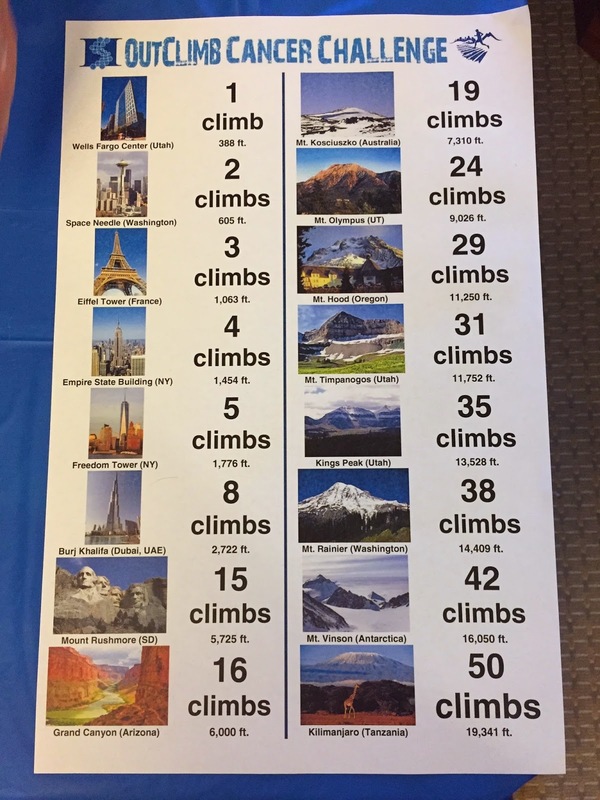 Funny how I live in Utah and have been working on this goal for two years which has seen me run the stairs in 15 states and finally I get Utah off the list. I always thought the LDS church office building was the tallest building in Utah but it turns out the Church office building has a higher ground level so it just looks taller. The Huntsman Cancer Institute puts on a race each year at Wells Fargo and it is surprisingly the most economical race I have entered so far at only $35 per person. 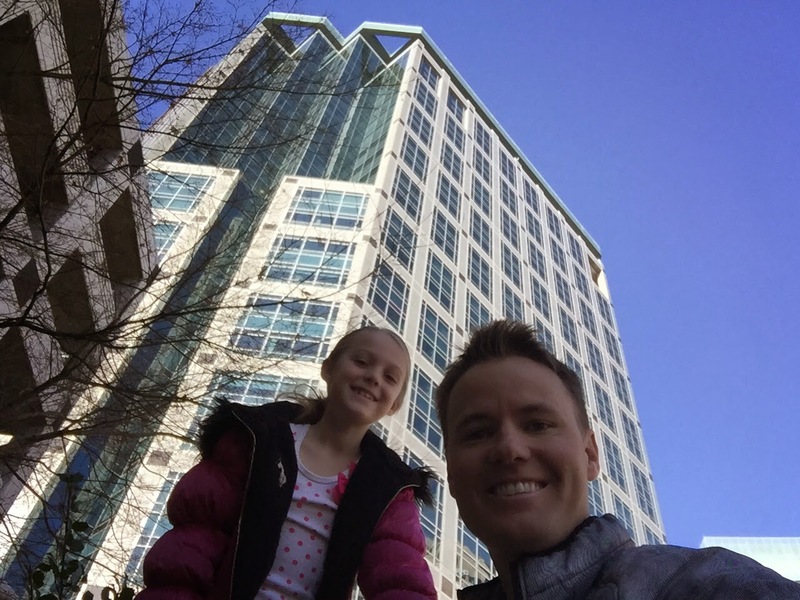 Since it is such a good price I decided I should bring my sweet 6 year old daughter Claire. She was so excited to run in her first race and more importantly, get a medal. 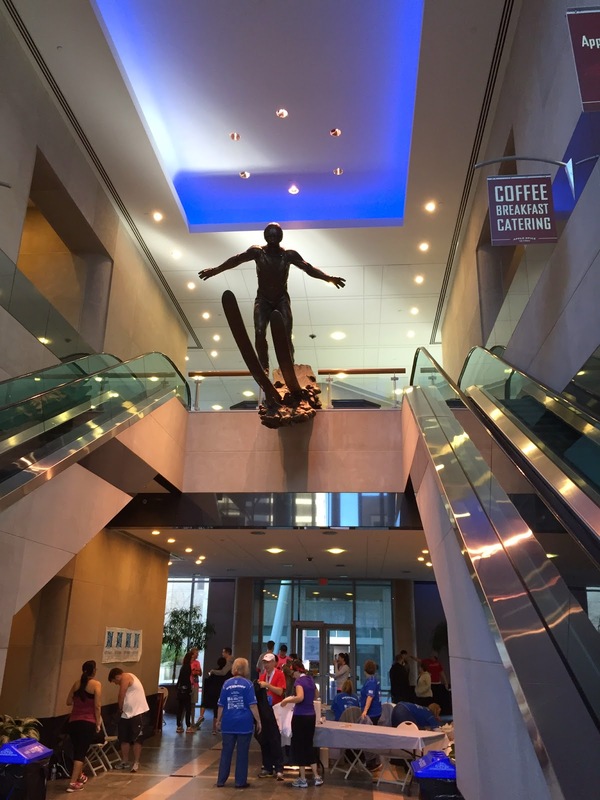 We arrived at Wells Fargo Center at 9:00 am for registration and the cool thing about this race is they have an option to run as many times as you can in a 6 hour period. There were racers that started at 6:00 am and wow they looked tired. Claire and I started up the stairwell and I was happy to see how narrow the stairwell was. I already have long arms so when a stairwell is narrow it allows me to grab the rail on both side and propel myself up the stairs taking pressure off my legs. Since I was running with Claire I was not racing for the fastest time so I stayed behind her and pulled myself up the stairs. She ran at a good pace for the first 7 floors and then she began to feel fatigued. By the 11th floor she was asking me if we were almost done because she was getting tired. We pushed on to the top only stopping once for 20 seconds for Claire to catch her breath. 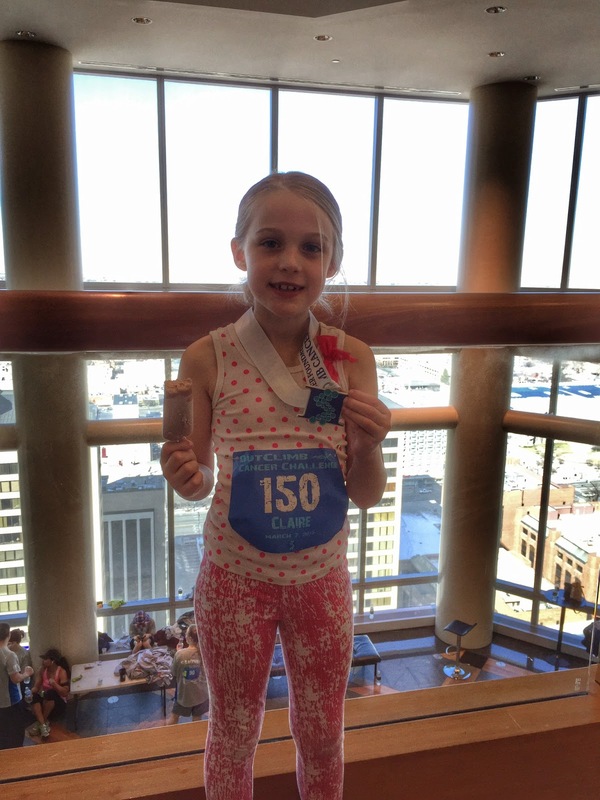 We reached the top of the building and Claire was so happy to collect her new shiny medal. They had a 2 story area to gather after the race with the usual snacks like bananas and creamsicles. We finished in 7 minutes 9 seconds putting claire as the 14th fastest female under 19 years old out of 32 racers in her age group. Not bad for the little six year old! 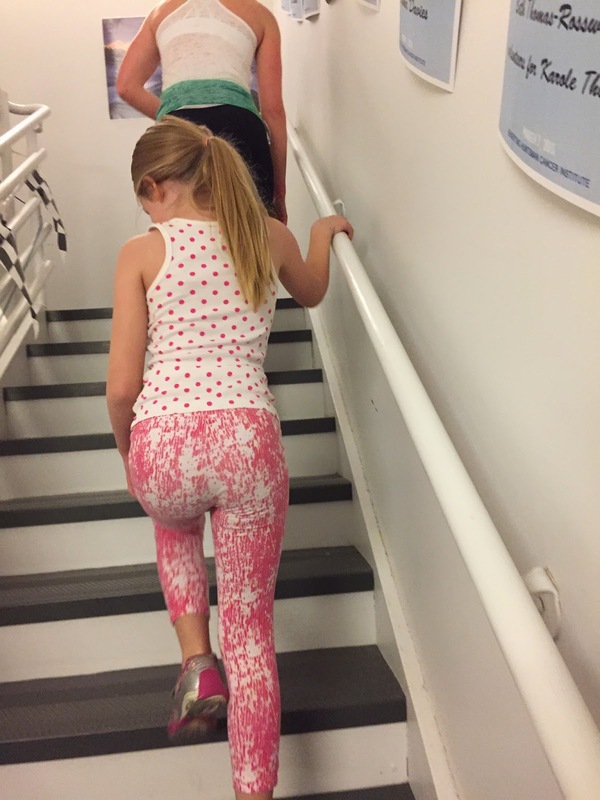 It was a super easy stair climb for me but very fulfilling to have my daughter with me. The main reason for running these stairs is to do this for my sweet niece Whitney who can’t walk. Her life motivates me to stop being lazy with the healthy body I’ve been given and get out there and exercise to accomplish greater goals. Claire is very close in age to Whitney so seeing Claire progress through different stages of her life always makes me think of where Whitney would be developmentally in her life without the Cerbral Palsy. So in a way, having Claire with me is like having Whitney with me even more. This is the 16th state I have run to the top of the tallest building in the state with more states to come this year. The adventure continues!